A fine 12th Century church welcomes you to our friendly, regular and well attended services or just to look around. A beautiful, simple and unspoilt building, mentioned in the Domesday survey, deserves a visit. Nave early Norman, possibly Saxon. Tower 12th - 13th C.
Two new bells dedicated to local Parishioners 2003-2004. Third bell 2008 with plans for two more. 14th C. piscine and sedilia. Three sided 17th C. Altar rails. Windows - all clear glazing offering a very light, airy and peaceful ambience. Churchyard managed, by volunteers, for wildlife. 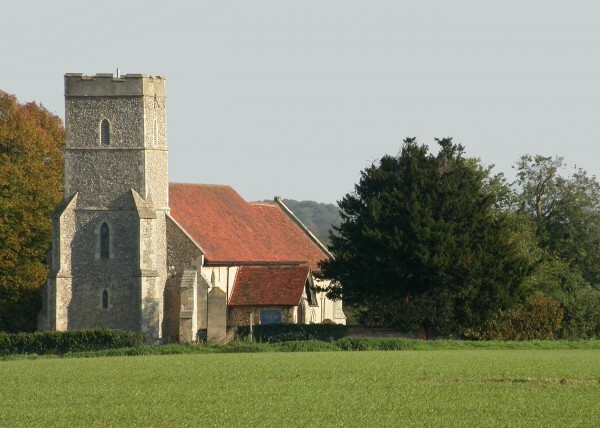 Elmsett is part of the Benefice with Aldham, Kersey, Hintlesham and Chattisham. www.crsbi.ac.uk - further information on Elmsett and other churches. www.stedmundsbury.anglican.org - The Diocese of St.Edmundsbury and Ipswich. www.English-Church-Architecture.net - further information on Elmsett and other churches.